Helping ambitious women get clear on what they really want. 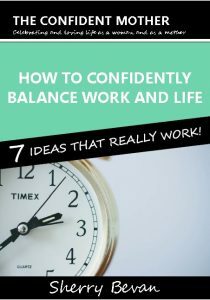 7 ideas that really work to confidently balance life and work. Click here to request your free copy. Book Sherry to speak at breakfast meetings, in-house lunch & learn, workshops, Q&A panels, external conferences, off-site retreats etc. Get started with a short downloadable coaching audio file. Book your free clarity conversation to find out if working with Sherry is right for you. Book your place today at one of my online events or live workshops.